Omnipure Q Series Twist-Off Quick Change Filters | Applied Membranes Inc.
Omnipure’s Q Series filters are designed for ease of filter replacement. Remove the filter body from the permanent head with a twist of the wrist. The new filter body is just as easily threaded into the head, and the replacement is then complete. 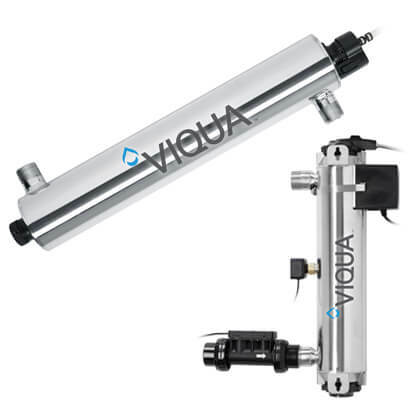 The Q-Series is also available with the optional Twist Tap in-head valve system, which automatically turns the supply water off when the body is disconnected from the head. No tools. No drips. No hassles. The Q-Series is ideal for use in any situation where better tasting, sediment-free water is required - beverage equipment, RO systems, drinking fountains, ice machines, and other point-of-use applications. Standard media includes granular activated carbon for taste and odor reduction, polypropylene depth filtration for removal of grit and sediment, and polyphosphate to control lime and scale deposits. Disposable The filter is a self-contained capsule that is simply discarded at the end of service life. NO mess. NO hassles. Functional: Depending on the media, Omnipure filters can address aesthetics (taste, odor, color), lead, cysts, sand, grit, and dissolved solids that are associated with hard water and more. 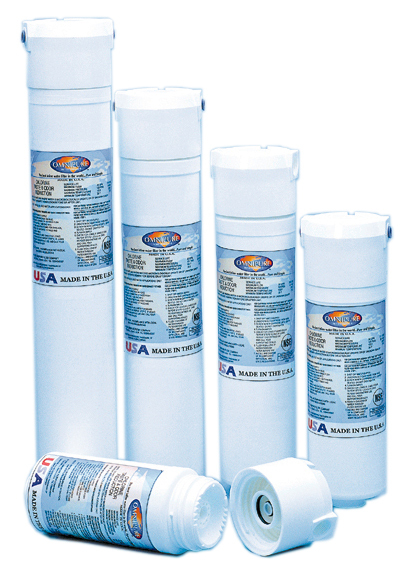 Omnipure filters are designed to be exceedingly fast and easy to install. Replacing a filter can be done in a matter of seconds, without the use of tools. Q5333, Q5433, Q5533, Q5633, Q5733, Q5540, Q5640, Q5328, Q5428, Q5528, Q5628, Q5320, Q5420, Q5520, Q5620, Q5420-P, Q5520-P, Q5515, Q5615, Q5386, Q5486, Q5586, and Q5686 are tested and Certified by NSF International against ANSI/NSF Standard 42 for Taste and Odor Reduction and Chlorine Reductions Class I.
Q5320, Q5420, Q5520, Q5620, Q5420-P, Q5520-P, Q5515, and Q5615 are also tested and Certified by NSF International against ANSI/NSF Standard 53 for Lead and Cyst reduction. May also be used in conjunction with Commercial Purification Systems.